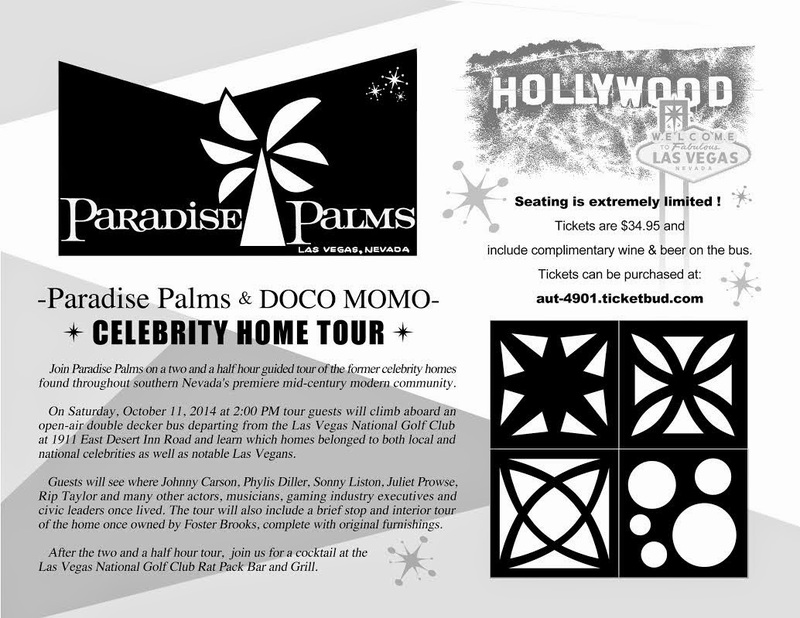 Join Paradise Palms on a two and a half hour guided tour of the former celebrity homes found throughout southern Nevada's premiere mid-century modern community. 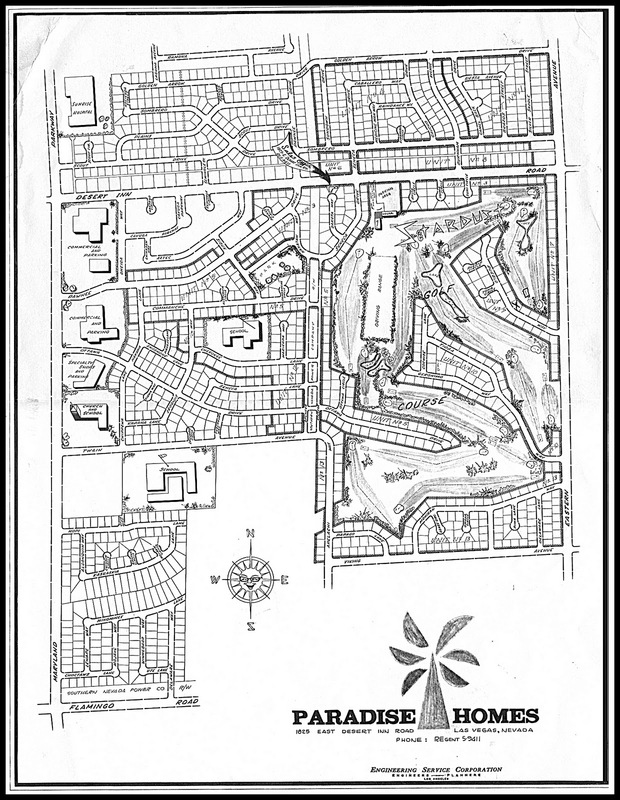 On Saturday, October 11, 2014 at 2:00 PM tour guests will climb aboard an open-air double decker bus departing from the Las Vegas National Golf Club at 1911 East Desert Inn Road and learn which homes belonged to both local and national celebrities as well as notable Las Vegans. Guests will see where Johnny Carson, Phyliss Diller, Sonny Liston, Juliet Prowse, Rip Taylor and many other actors, musicians, gaming industry executives and civic leaders once lived. The tour will also include a brief stop and interior tour of the home once owned by Foster Brooks, complete with original furnishings. Seating is extremely limited – Tickets are $34.95 and include complimentary wine & beer. After the tour, join us for a cocktail and brief history discussion of the Las Vegas National Golf Course at the Rat Pack Bar and Grill, found in the Las Vegas National Golf Clubhouse.